There are a variety of membership-based organisations: industry-related like Property Council Australia, health-related like Diabetes Victoria and not-for-profit like World Wildlife Fund Australia. 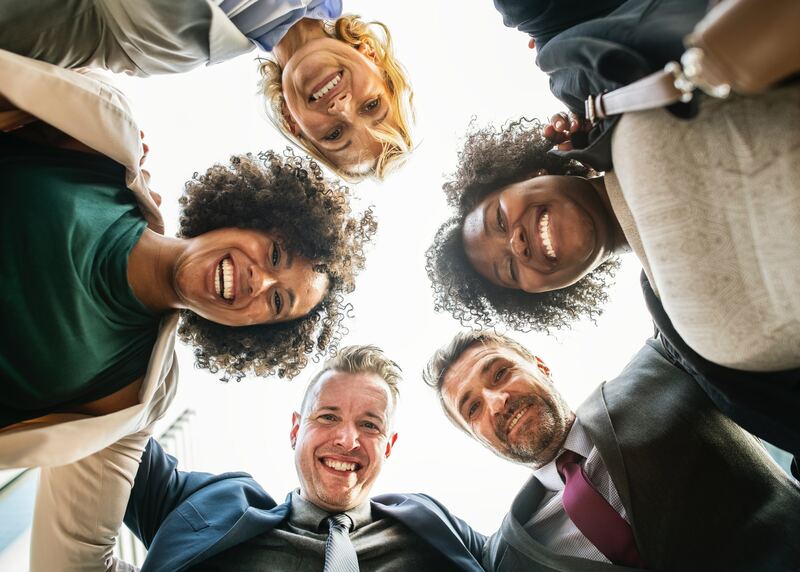 The purpose of these organisations is to bring value to their members - by building a like-minded community and offering useful resources and events to help them connect and grow. In exchange for this value, members invest in the organisations. So, while every membership-based business is different, each has one thing in common: their members are their main source of revenue. In other words, having members and keeping those members happy is critical to their success. How do we engage current members to keep them happy? How do we retain current members to ensure they renew their membership? This is where inbound comes in. 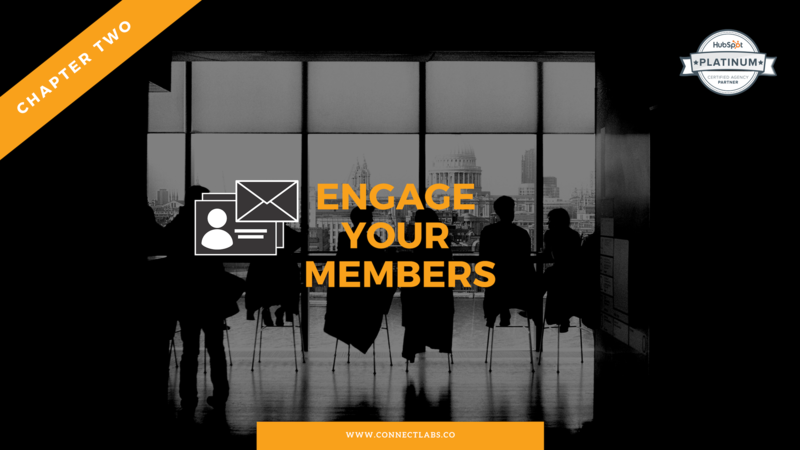 A solid inbound marketing and sales strategy and plan will allow you to reach and welcome new members and invigorate engagement among current members, increasing the likelihood of membership renewal. If you’re not familiar, inbound marketing and sales is all about attracting your customers with content and interactions that are relevant, helpful and personalised in order to gain and maintain ongoing revenue. A traditional outbound strategy of interrupting potential customers and fighting for attention is no longer suitable. Buyers, or in this case prospective members, today are in the driver’s seat. When they want or need something, they want to do the research and decide what makes sense for them. In the case of a membership-based organisation, members expect an ongoing reliable and valuable experience. With an inbound strategy, you will be doing just that - understanding your members’ (potential, new and existing) needs and offering them the value they seek in the right place at the right time. The following is a fantastic visual capturing the inbound marketing and sales journey, including tactics used along the way. In this guide, we encourage you to reference this as we outline inbound marketing and sales strategies your organisation can implement to grow your members, keep them engaged, and produce renewals. The core of an inbound strategy is creating value for your people, so when it comes to those who are not yet members, how do you determine what is valuable to them and how you can appeal to them enough to become a member of your organisation? Before you determine what is valuable to your potential members, you first have to understand who exactly you are targeting. What are their main interests, challenges and concerns? What platforms do they spend the majority of their time on? Do they fit within a particular demographic? How are they currently searching for information that you could provide, and what factors will they consider in deciding whether they want to be a member of your organisation? Give each persona a name and develop their profiles. Note, you can and should create multiple personas, so you’re not missing out on any potential new members. In knowing you who are aiming to reach, you’ll be a better place to set up your content and SEO strategy. Content is the core of your inbound strategy. Helpful, engaging and relevant content is going to the magnet that attracts new members to you. Yet, how do you determine what content is going to be helpful, engaging and relevant for these prospective members? Refer back to your buyer personas. What are they interested in? What are they searching for when they hop on Google? What are they hoping to achieve in the future? You’ve already answered these questions through your buyer personas, and those answers are what you’ll want to frame your content around. Think about it this way: there’s a chance your potential members are not searching for your organisation by name. Rather they are asking questions related to their industry or interests. You want your content to be what shows up in their search results. Accounting for search engine optimisation (SEO) because your content does little good if no one can find it. Click here for a step-by-step guide for how to do this for your membership-based organisation. Integrating calls-to-action (CTAs) that drive traffic to your website or get contact information from potential members. Promoting your content via your social media channels, email and whatever other communication channels you use because once again, content is useless if no one sees it. 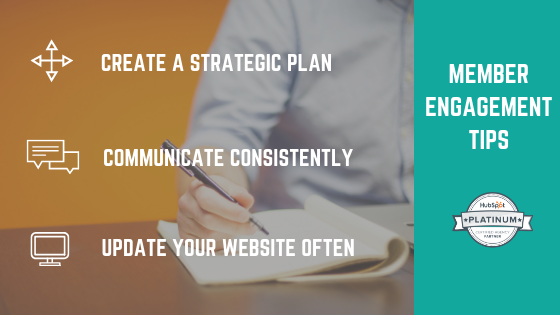 Employing these tactics will allow your content to get found, building awareness and credibility for your organisation. As you are driving your prospective members to your website, you want to make the most of them visiting. Firstly, it should load quickly, be mobile friendly and easy to navigate. If even one of these boxes is not checked, you can’t expect people to spend time on your website. Once those elements are covered, your priority should be conversions - getting someone to volunteer their information to you - so you can re-engage with them and ultimately convert them to active members and organisation advocates. Setting up solid landing pages is the most sure-fire way to earn conversions. A landing page is essentially a website page that encourages some level of conversion. One of the most effective landing pages is having a resource people want behind a form they want to fill out. The following is a visual example from the Connect Labs website. What other attributes make a good landing page? A clear message, simple design and straight-forward call to action. Once someone has given you the means to communicate, your goal is to turn them into a full member. To this, you’ll want to get to know your prospective member better and continue reinforcing your value to them. This is also known as lead nurturing. While one tactic like email marketing could be effective with some prospects, many people these days have email overload, leading to declining open rates. That’s why a multi-channel approach makes so much sense. Instead of relying on one tactic, you combine multiple approaches like marketing automation, social media, paid retargeting, newsletters, personalised emails and even events (digital and in-person) to ensure that you are increasing the opportunities in which you can engage with potential new members and convert into members. 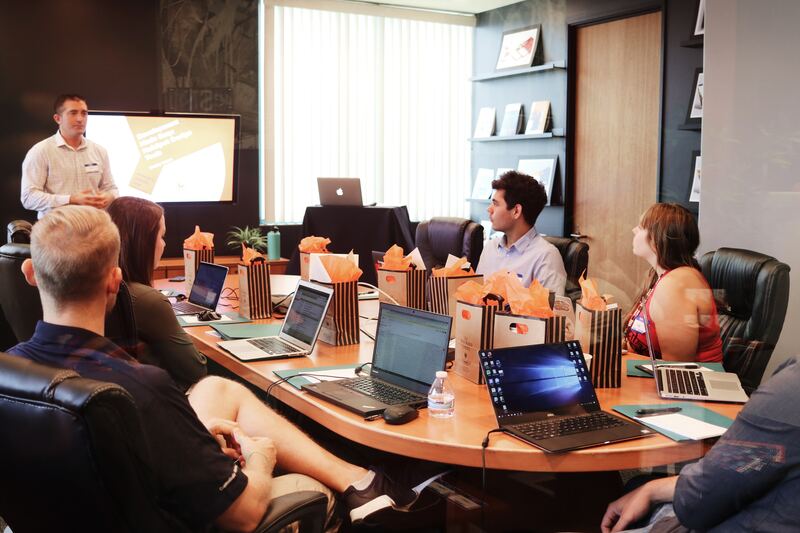 Managing all these moving pieces is a certified team effort; however marketing and CRM service software like HubSpot’s Marketing and CRM Hubs can seamlessly connect the dots to keep you working productively. Attracting and winning over new members is a tough feat that deserves a pat on the back, but as we noted at the beginning of this guide, your inbound strategy doesn’t end once you convert someone to being a member. As your organisations’ profitability is reliant on your members’ ongoing investment, it’s just as important (if not more so) to prioritise keeping your current members happy and engaged. In this chapter, we’ll cover how to do just that. Customer needs change as they move down your marketing and sales funnel, so you shouldn’t assume that new members want the same as members who have been with you for over five years. For example: During the attract/convert stage your customer might be looking for networking opportunities. However, once they are members, they might be on the lookout for other benefits like in-depth industry insights or trainings that could benefit their business. As a result, you should build unique buyer personas for current members, so you can better tailor content and your communications to them. Through HubSpot’s CRM, you can gather data on members past purchases or track their interactive journey with your website which can be used to inform your buyer personas and push out relevant, optimised content. To keep members engaged, you need to constantly be providing them value, and avoid getting in touch only when you want something, like a donation from them. Email marketing is an effective way to maintain that ongoing communication. You can interpret your members online behaviour using HubSpot and personalise the content you send them according to those displayed interests and actions. Make sure to include CTAs pushing them to share content with their network either via email or on social media. Not only are you providing valuable content consistently but you’re earning third-party validation! To ensure customised communication once people become members of your organisation, you should set up workflows that automatically send them content personalised to their interests and their journey with your organisation. While a growing organisation can’t create one workflow per member individually, you can segment your members into sub-lists based on level of membership, location and specific interests, to name a few elements, and apply workflows to those sub-lists. How do you know what content to share? HubSpot’s content management system offers “Smart Content” that essentially assesses what content people would want to see based on statistics of their previous behaviour or interests. 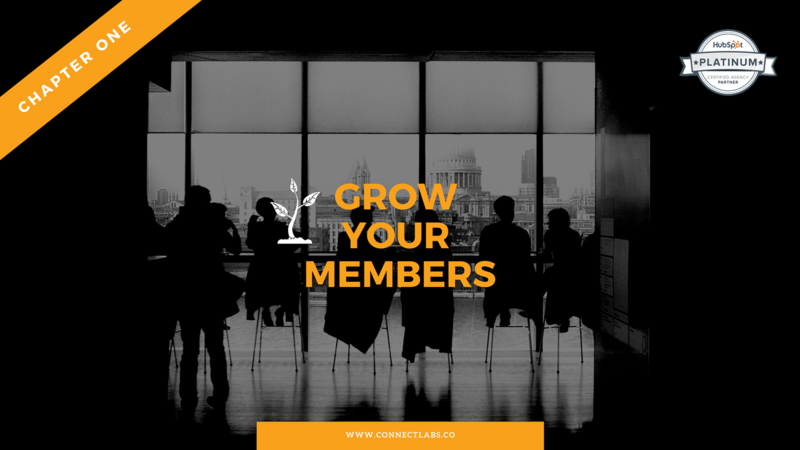 Just as you have to employ certain tactics to recruit new members and keep current members engaged, there are approaches you should execute to ensure membership renewal. 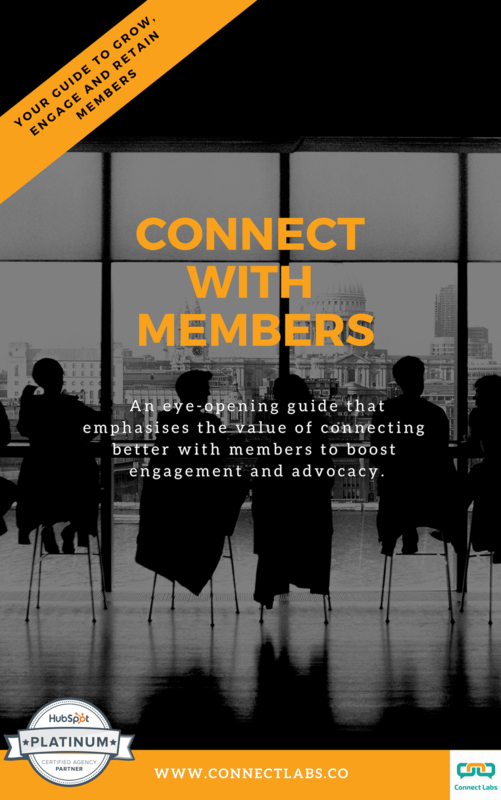 In this final chapter, we will cover strategies for ensuring your members stay active, renew their memberships and become advocates for your organisation, encouraging new members. In addition to continuously offering value, to retain your members, you also want to make them feel special. One way to do this is by giving them access to exclusive content. 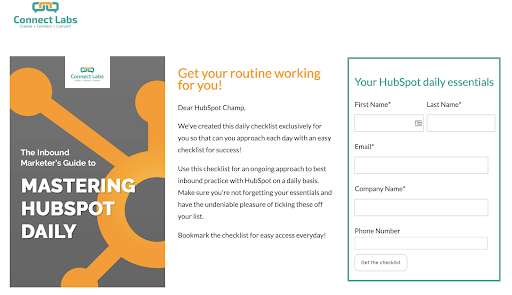 With HubSpot’s Marketing Hub Enterprise, you can control audience access by setting a password or requiring that they register. Combining smart content with website optimisation can lead to a better customer experience for your members, giving them reasons to further continue membership with your organisation. Your members are the backbone of your organisation, so telling their stories and getting them involved is a great way to make them feel more committed. Feature them on your blog or social media or include a Q&A with a long-standing member in your email newsletter. In this feature, prompt them to share why the organisation matters to them. Not only will this reinvigorate their passion in the organisation, but could also be a useful asset for recruiting new members. Additionally, they’ll likely want to share the content with their network, giving your organisation greater visibility and validation! If possible, try setting up a program where members get benefits for bringing in new members or for maintaining their membership. There are a few different types of programs that work well specifically for membership-based organisations. The key is determine rewards that your members care about, so they are not only incentivised to stay a member of your organisation but also feel like you're giving them ongoing value. Additionally, loyalty programs will help you identify your biggest advocates for the organisation, who you can then highlight and show special attention as a thank you for their loyalty. "These days people want to learn before they buy, be educated instead of pitched."